(Valhalla, NY—August 8, 2011) Highly sophisticated technology is used to monitor and care for the special needs of babies in the NICU. One very important piece of equipment is called an EKG machine – an electrocardiogram that records a baby’s heart’s electric activity on a graph. On August 8, 2011, Hailey’s Hope Foundation proudly donated a new, state-of-the-art EKG machine to the RNICU at Maria Fareri Children’s Hospital. 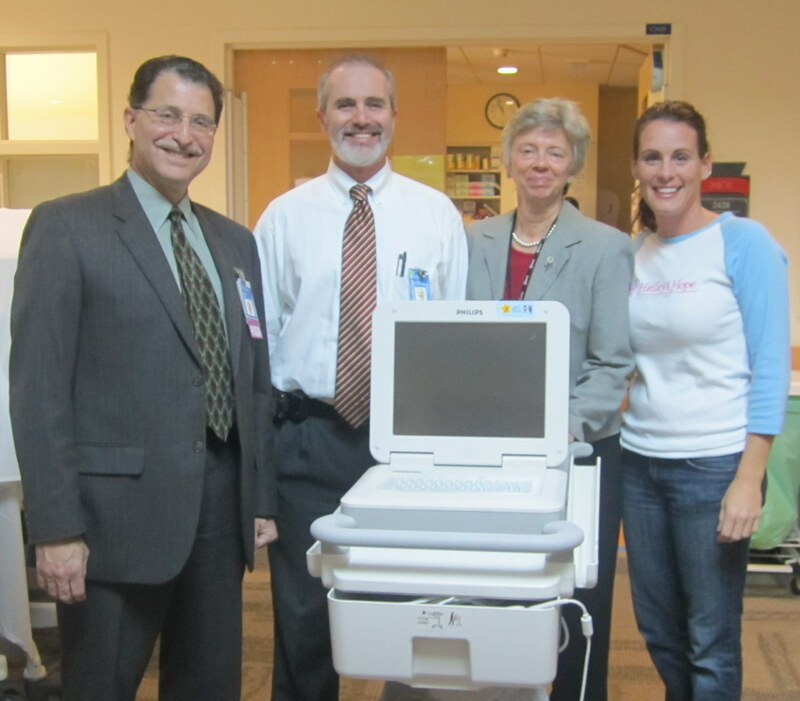 Because premature babies are at great risk for heart problems, this machine provides an effective and painless way for the NICU team to get crucial information about a baby’s heart condition, including heart rate and blood pressure.